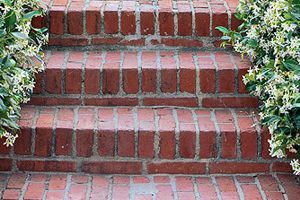 Comment: Brick steps need to be replaced. Comment: Bricks have broken on a brick fireplace. Comment: Repair brick mantle which broke. Comment: One Gate tower. The base is OK. 16"x16" base, 5.3' tall. 9 sq. Ft brickwork about 220 bricks. Comment: Repair steps & grout. Edgewater Brick & Stone Masonry Contractors are rated 4.71 out of 5 based on 1,085 reviews of 35 pros. Not Looking for Brick & Stone Contractors in Edgewater, MD?